Kellett Court is located along Shelford Road at the Bukit Timah residential district which is secluded from the noise of the city and surrounded by low-rise, private property. Kellett Court is near to some of Singapore’s finest schools, including Henry Park, Raffles Girls’ and Nanyang Primary School, The Chinese High School, Methodist Girls’ School, St. Magaret’s as well as the National Junior College and Hwa Chong Junior College. Amenities including supermarket, book shops, clinics and restaurants can be found at Coronation Plaza across the road. Kellett Court is also within short driving distance to Orchard Road, Holland Village and the Central Business District. 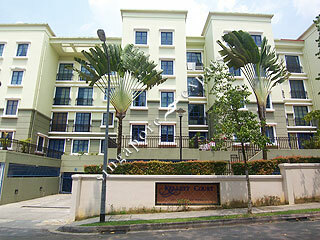 Kellett Court is accessible via major expressways like the Bukit Timah Expressway (BKE) and Pan Island Expressway (PIE). Public transport is easily available along Dunearn Road.